Studies have shown that competition is an essential component of learning and enjoying any sport. The key is to use competition as a tool to grow and develop the game—and the games of youngsters—not to crown champions or turn late developers away from tennis. USTA Colorado advocates getting kids playing as quickly and capably as possible in a fun, welcoming environment. As children develop an interest in tennis, 3v3 Tennis, Junior Team Tennis and sanctioned Tournaments are great ways to improve their skills and provide further development through a repetitive combination of non-elimination, team and competitive opportunities. 3v3 Tennis, Junior Team Tennis and Tournament play are integral development components of a young player's progression in the sport. 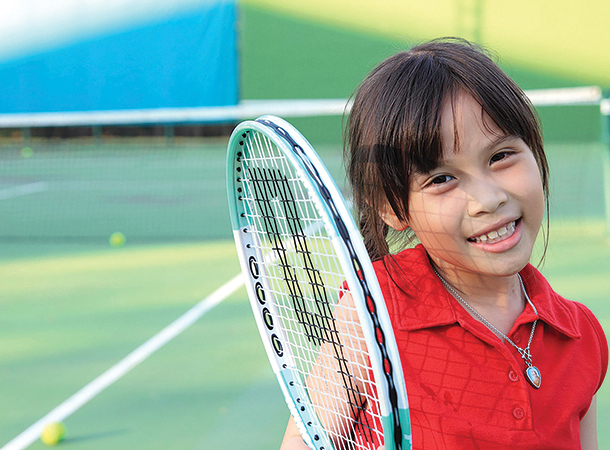 Kids don't need to "graduate" from one to the other, they should use each format as a vehicle to help them learn the strategy and tactics of tennis—by playing matches. 3v3 Tennis is a new format (rolled out in 2017) where two teams compete against each other in side-by-side singles and doubles competition. Players sub in and out between games, and coaching is not only allowed, it's encouraged! Tennis is a great team sport. Each year more and more kids are learning and competing as part of a team. They enjoy the social aspects of a team environment, the camaraderie of teammates and the support and encouragement of a coach. Many middle schools and most high schools offer tennis teams that allow kids to be with their friends, represent their school and compete as a team. Colorado Junior Team Tennis provides kids the opportunity to learn and compete on a team and be with their friends. Matches and practices are team-based and are fun because kids have the support of teammates and coaches. Colorado JTT has divisions for junior players at a variety of skill levels—Futures (entry-level), Challenger (intermediate) and Championship (advanced)—and ages 10 and under through 18s. USTA junior tournaments are designed to offer a wide variety of formats and accommodate players of virtually any age and skill level—Futures (entry-level), Challenger (intermediate) and Championship (advanced)—and ages 7 through 18s. Many events offer guaranteed matches—round robins, compass draws, consolation brackets—to ensure that players are getting the most from their experience. Parents can seek out events that provide young players ample opportunities to play with and against a large number of children instead of single-elimination events. Round robin and compass draw events where everyone has a chance to play every player are great because nobody is eliminated and everyone plays the same amount. Players ages 7-10 competing in sanctioned programs (JTT, Junior Tournaments) are part of USTA's Youth Progression platform. For more details on Youth Progression, see our primer.